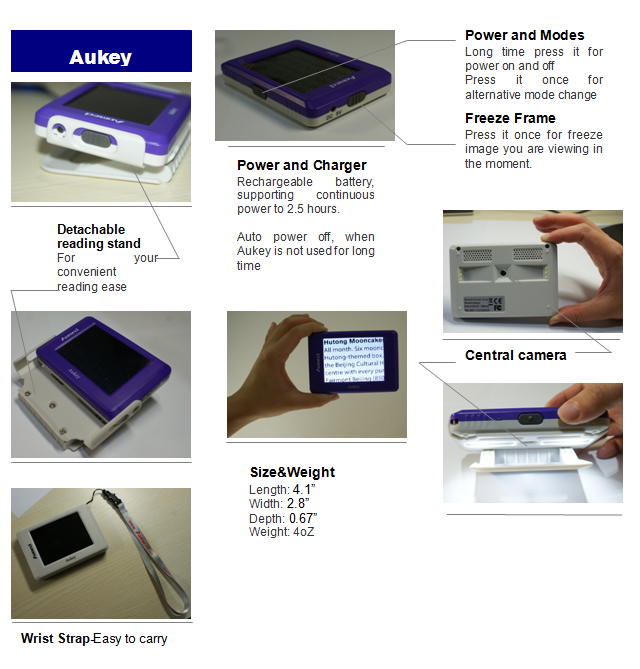 Aukey is a Pocket-size solution for visually impaired people that is ultra-slim and lightweight but effectiveness and convenience uncompromised. 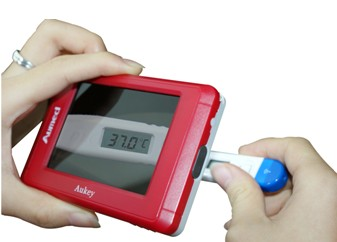 The 3.5 inch TFT screen displays vivid image and sharp text. 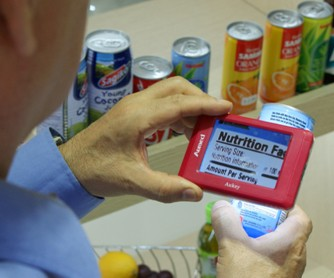 Centrally located camera makes reading very easy and intuitive. 3 button design easy to use. 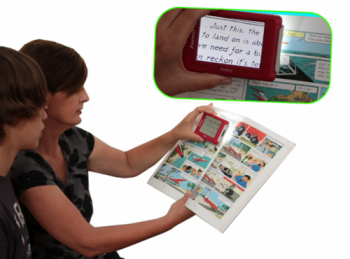 Package includes a detachable stand for reading for a long time.